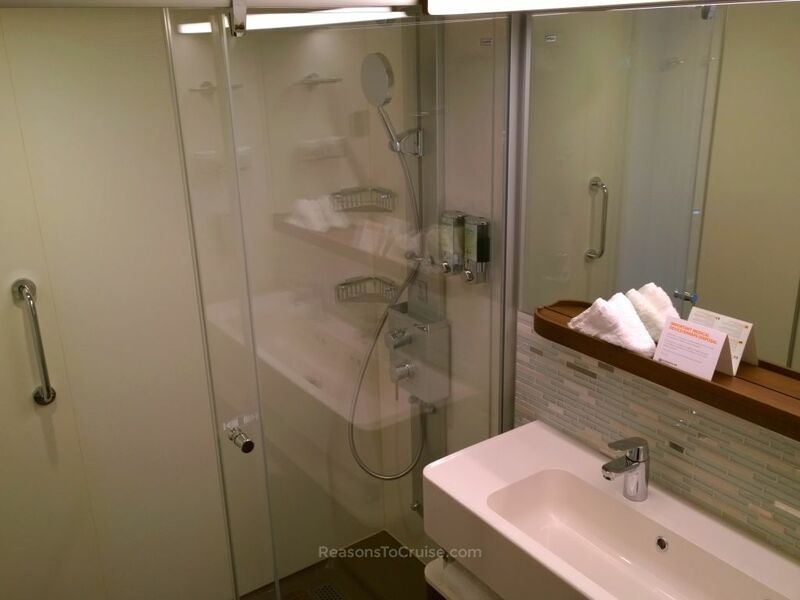 I leapt from my seat when I discovered my allocated cabin on Norwegian Escape was to be a Spa Junior Suite. My paperwork had implied it was to be a Studio cabin, so a four-category upgrade was very much welcomed - and was the first time the 'upgrade fairy' had visited me. 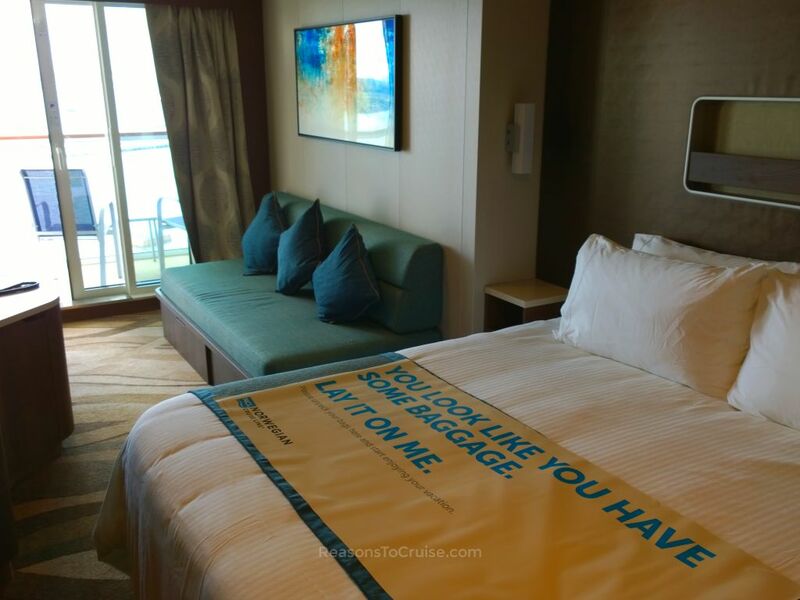 I was excited about my first taste of the "suite life" having sailed in Inside, Ocean View and Balcony cabins previously. According to the deck plans, the suite boasts 23 square metre (251 square foot) of interior floor space and 4 square metres (44 square feet) of balcony space. Other features of the cabin are twin lower beds that convert to a queen, a tranquil spa décor, an oversized waterfall shower, a wardrobe, easy access to the Mandara Spa and fitness centre, and complimentary access to the Thermal Spa Suites during regular Spa hours. 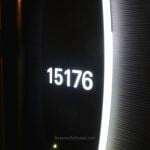 Stylish illuminated door numbers located outside each cabin included small lights to indicate that you are inside the cabin. 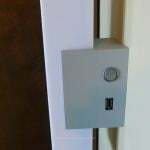 Slide your Freestyle Card into the slot inside the doorway to activate the electrics in the room, and the 'occupied' light on the door sign lights up. You can also signify not to be disturbed, and you can request the room be made up. The location of this cabin was good. 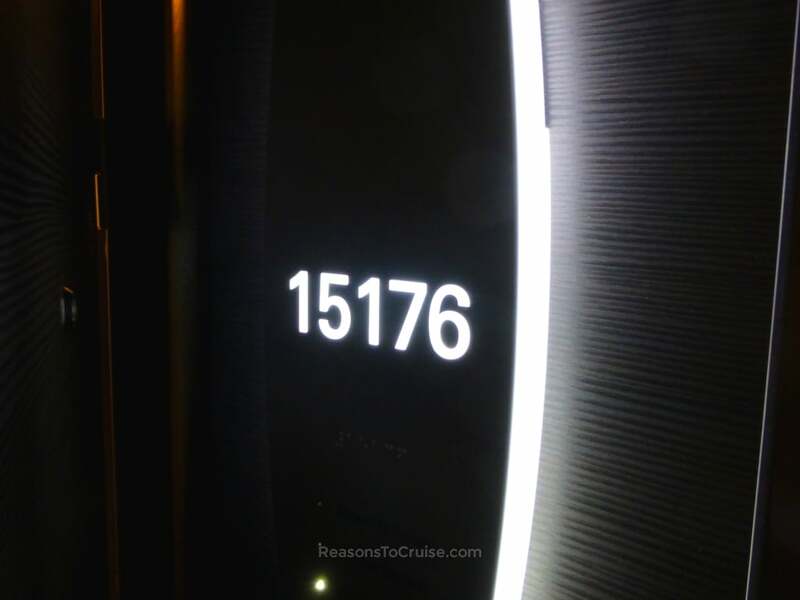 Deck 15 means it is close enough to the upper deck action and the mid-ship port side location means it is close to the staircases and lifts. 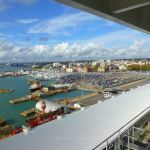 While a little noise travelled into the cabin (such as footsteps and sun loungers dragged on the sun deck above), it was not loud enough to be a nuisance. 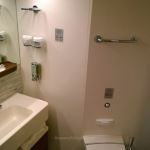 The size of the bathroom surprised me - I had been expecting a smaller set-up. 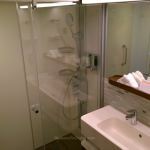 A double-depth shower cubicle provided ample room, bordered by a soft-close sliding glass screen door - no nasty shower curtains or cheap plastic doors here. A double-width but oddly shallow "his and hers" sink basin spread across the vanity unit. A standard toilet completed the en-suite. The bathroom was very light and airy thanks to the extensive use of white. A little colour is introduced with the blue and cream splash-back tiles together with the dark brown woods. The upgraded bathroom amenities are a nice addition. 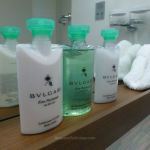 Handwash and shower gel dispensers affixed to the wall, but the luxury Bvlgari body lotion, shampoo/shower gel and hair conditioner were my products of choice. 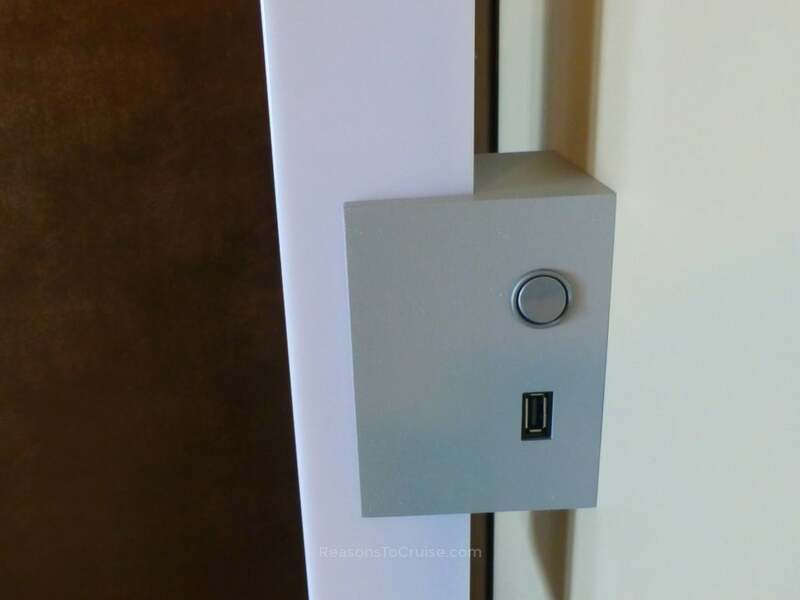 A pair of handy USB sockets were located on the side of the two bed-side lamps making charging phones and cameras a lot easier than messing around with travel adapters. 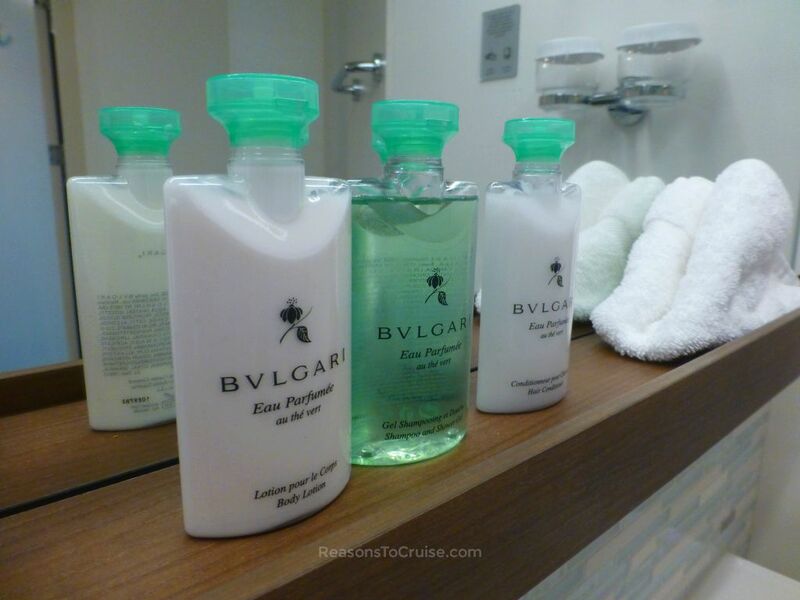 While I did not have time on a one-night sailing to make use of it, the included complimentary access to the Thermal Spa Suites during regular Spa hours would be a welcome bonus on longer voyages. The cabin came with a pod-based coffee maker on the desk (albeit with no pods on my sailing - I would hope these are available free of charge on regular sailings). This handy gadget should save on trips to the Garden Café when you want a quick coffee to enjoy out on your private balcony. The ample size of the balcony also surprised me. 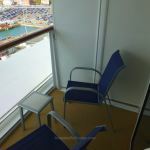 Many of the cabins on new ships leaving the shipyards offer tiny balconies with barely enough room to fit two chairs in let alone two or more people. 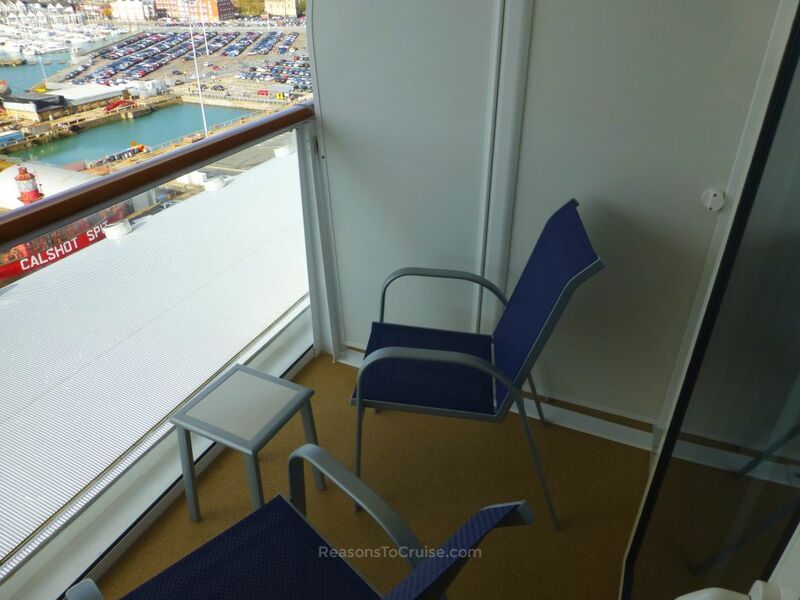 Two chairs, a table and enough room to enjoy it comfortably made the balcony perfect. The balcony space offered unspoilt views despite the large steel canopy overhang above. Dividers between the cabins offered a good level of privacy, and the glass balustrade did not impede the sea views. I expected more space given the name "Spa Junior Suite". 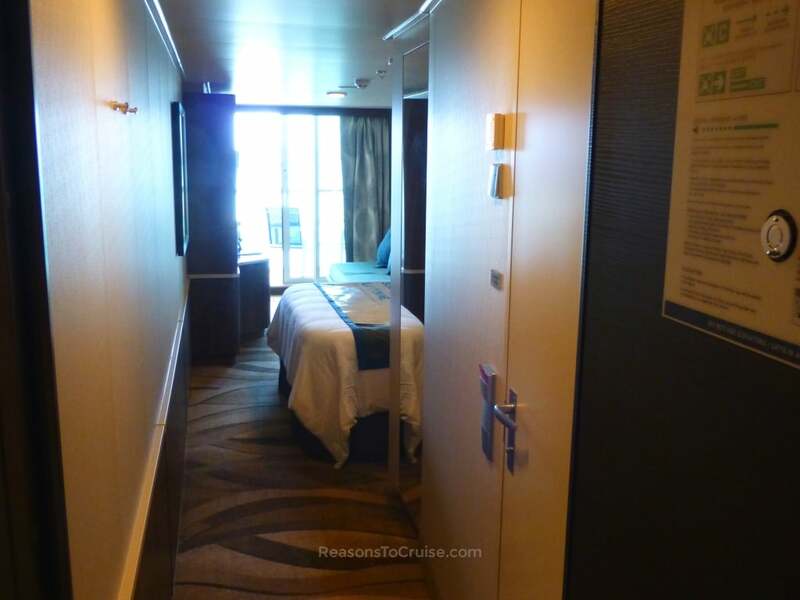 The cabin, while long, was very narrow and felt enclosed. Except for the bathroom and balcony, there was not a lot of breathing space. One of the key selling points of this cabin is its location "adjacent" to the Mandara Spa and fitness centre. The Spa is only accessible one deck up, although this is probably not a deal-breaker for most. The upgraded Hansgrohe waterfall shower is a nice touch, but be prepared for the uncomfortable, laser-focussed side water jets. The oversized shower head was infinitely better, though. Based on a 10 September 2016 Caribbean itinerary, a Spa Mini Suite is available from £1,039 per person. A Spa Balcony cabin, which includes access to the Thermal Suite, is available from £879 per person. 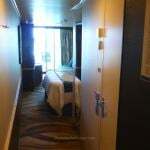 Trade Up: If your budget allows I would recommend The Haven Spa Suite which includes access to Norwegian’s ship-within-a-ship space called The Haven. It also includes Thermal Suite access. This suite also features an in-room tub overlooking the sea – perfect for relaxing in as the sun sets. 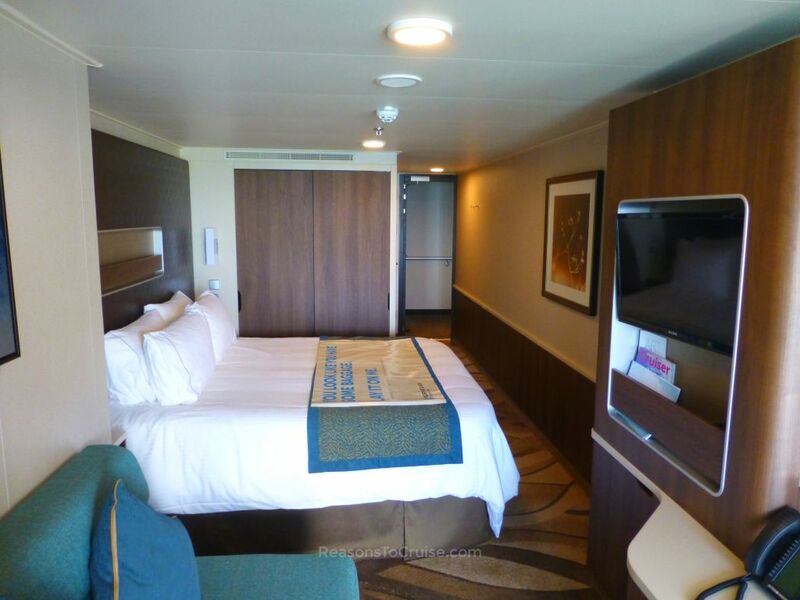 This suite is available from £1,799 per person on the same itinerary. 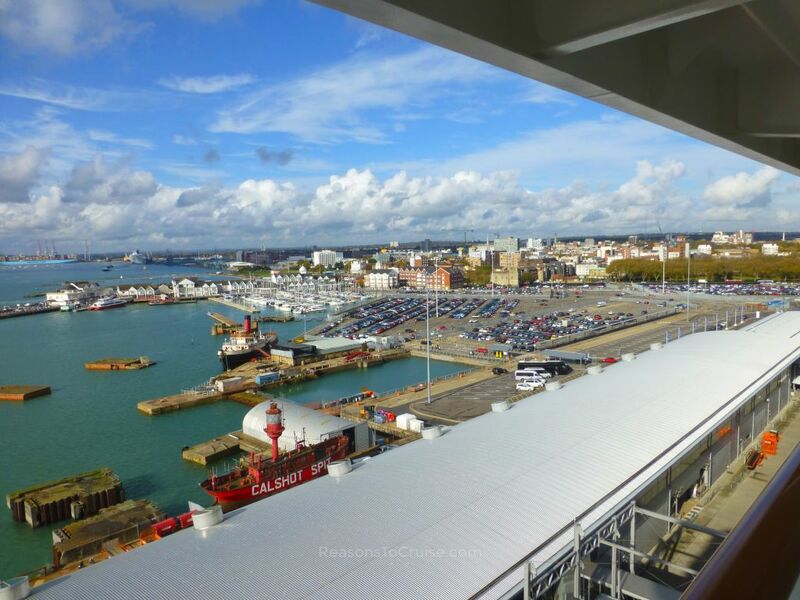 Trade Down: If you can bear to lose the included Thermal Suite access (which you can purchase separately), an Inside cabin starts from £489 per person, an Ocean View from £619 per person, a Balcony from £759 per person and a Mini-Suite from £919 per person. 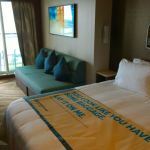 Prices are based on two sharing a cabin and are available at the time of writing. Would you book a Junior Spa Suite rather than a standard balcony cabin? Let me know in the comments below. 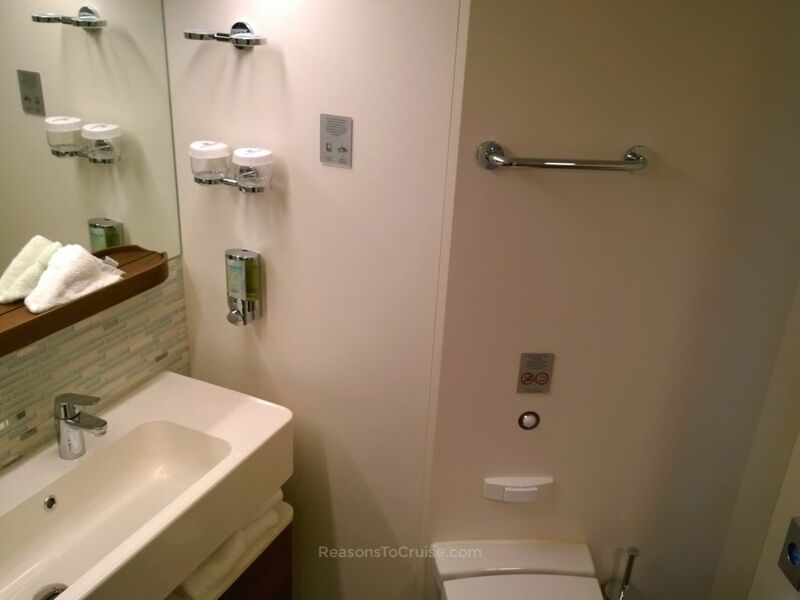 More compact than I had imagined it would be, the Junior Spa Suite compares to a standard balcony cabin on other cruise lines. That said, it does feature upgraded fixtures, amenities, and access to the spa’s thermal suite.